EDMONTON, Alta. 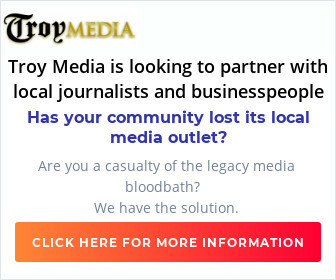 Jan 18, 2016/ Troy Media/ – The strategic forces impacting Alberta today have crippled the economy but – more importantly – they have an ‘end of era’ feel to them. Yes, we’ve had ups and downs in oil prices before, and yes, Albertan’s have faced questions about our carbon-emitting economy, but there has never been as sustained an assault on our engine of growth as we’re experiencing today. Times are tough and probably going too get tougher. No one believes the oil business will whither and die. It will return in future, but probably in a reduced form. So diversification of our economy is no longer a nice to have; it’s a must have. But what do Albertans need to do to return to growth? Well, we could learn a few lessons from the ‘Japanese Miracle’, that country’s remarkable economic rebound after the Second World War when Japan lay in ruins. American bombs had destroyed its economy and the country was under occupation by U.S. forces. Coal mining, textiles and agriculture were the primary industries. Consider that Japanese exports were minuscule in those dark days – comprised of cheap disposables – like those colorful paper umbrellas that adorn cocktail glasses. During the next 30 years Japan went from basket case to the world’s second largest economy. How did they do it? The Japanese seized control of their destiny and designed a system that has been described as Japan’s ‘development state’. To illustrate how this all worked, let’s consider the rise of Sony Corporation – which has to rank as one of the world’s most unlikely success stories. In the early 1950s Sony was a totally unknown start-up company selling a few hundred tape recorders a year in post war Japan. The company had no track record, no exports and very few prospects. Morita Akio and Masura Ibuka, the young founders of Sony, happen to read about Bell Lab’s (1947) invention of the transistor and recognized immediately that this remarkable breakthrough would revolutionize radios. Thanks to their insight and determination, the ‘transistor radio’ was born. It was an immediate smash hit and a breakthrough that launched Sony on its road to global supremacy in 20th century consumer electronics. What does this success story tell us about economic diversification in Alberta? First of all, Sony’s success proves that technology development can happen anywhere. There is a feeling that Alberta’s natural place in the global economy is providing energy products and that it’s too out of the way to be a hub for advanced technology. Well, in the early 1950’s, no place was more ‘out of the way’ than Japan. Secondly, success for Sony did not rest upon primary R&D (research and development). Modern economists believe, and encourage governments to believe, that investment in R&D, particularly at the university level, is the best (if not the only) means of developing a high tech sector in the economy. Sony’s success proves that this idea is wrong. Success in this case depended upon Sony’s ability to leverage advanced technology but was highly dependent upon the company’s commercial genius and market savvy. Finally, Sony had generous access to risk capital that its competitors lacked. Sony took advantage of a unique set of circumstances in 1950s Japan. After the war, the government of Japan recognized they would have to make special efforts to rebuild their war-ravaged economy. They targeted various industry groups as likely candidates for growth and capitalized specialized banks, mandating them with the sole purpose of financing and modernizing local Japanese companies. 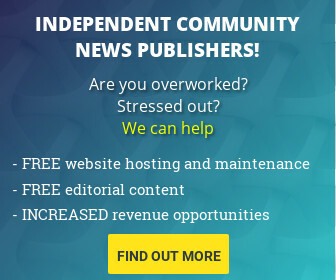 This unique combination of urgent societal need, political will and targeted financial institutions created an integrated support system for Sony during that turbulent period of their history. The Japanese government was the catalyst. Through its development ministry (MITI), the government stimulated the movement of capital and labour out of declining industries such as coal and textiles and into modern industries like electronics, steel, petrochemicals, and automobiles. While Alberta is not in as desperate shape as post war Japan, the Japanese Miracle offers a useful guide to the role of the Alberta government in our own recovery and some very useful approaches to capitalizing the industries of our future. 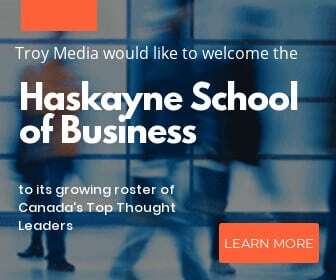 Troy Media columnist Robert McGarvey is an economic historian and co-founder of the Genuine Wealth Institute, an Alberta-based think tank dedicated to helping businesses, communities and nations build communities of wellbeing. 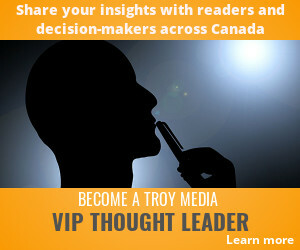 Robert is also included in Troy Media’s Unlimited Access subscription plan.